We've checked out the top ebook readers to determine which ones deserve a spot on your nightstand. E-readers put an endless reading list at your fingertips without the distractions of your phone to tablet. Not to mention, they offer much longer battery life and screens designed for extended use. This means less eye strain or interruptions and more enjoying your favorite books. But with dozens of different models available -- not to mention competing bookstores -- it can be hard to know exactly where to start. While most people think of Amazon's Kindle first, they are not the only name in the market. In this round-up, we'll take a look at the best e-readers from leading manufacturers to help you find the ideal option for your budget and intended usage. The Paperwhite has everything the average person probably needs in an e-reader at a price that is affordable. Combine that with a battery that can last for weeks if used a few hours a day, the ability to download books from anywhere on the Whispersync-enabled models, and easy access to a near-endless selection of content through Amazon and it's easy to see why this little e-reader is so popular. The built-in adjustable lighting can go from dim enough for bedtime reading to bright enough for the beach in seconds and an array of fonts and page formatting settings make it easy to customize to suit your preferences. You can even load your own custom fonts with the latest update to Kindle's software. There's even Audible support if you'd prefer to listen instead of read. With either 8GB or 32GB of storage, you'll have room for thousands of books or a healthy selection of audiobooks to keep your reading needs covered. Downsides are few. The biggest will depend on where you like to buy your e-books. 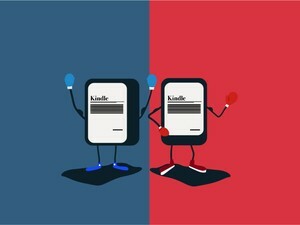 The entire Kindle line-up lacks support for ePub books. And you can't load any extra apps, such as Google Play or Kobo on to your device. So you'll likely need to stick to the Amazon Bookstore for finding things to read unless you want to use third-party software to convert your books. But it's not lacking in options by any stretch and pricing is in line with most other places. Finding the sweet spot between features and pricing, the Kindle Paperwhite is one of the best values on the e-reader market. While they started off as an underdog in the e-reader market, Kobo's devices continue to impress and are one of the biggest rivals to Amazon's Kindle series. With the Clara HD, you'll get a lightweight e-reader with sharp display and weeks of battery life if you read a few hours a day. It features one of the largest internal storage options for this price range at 8GB. So you'll be able to store loads of books, comics, and other media. Which is good, since it lacks the Whispersync support found in the Kindle series. This means you'll need to be near Wi-Fi to wirelessly sync books. Still, Wi-Fi is easier to find these days. 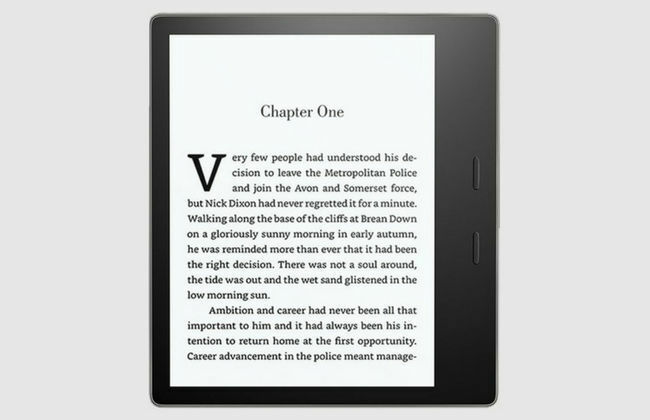 The feature that makes this e-reader ideal for late-night reading is the adjustable ComfortLight PRO lighting. While most e-readers use a single set of LEDs to illuminate the screen, the Clara HD uses two sets -- one blue, one orange -- to allow you to adjust the temperature of the display and avoid blue light exposure and eye strain during those late night reading binges or study sessions. 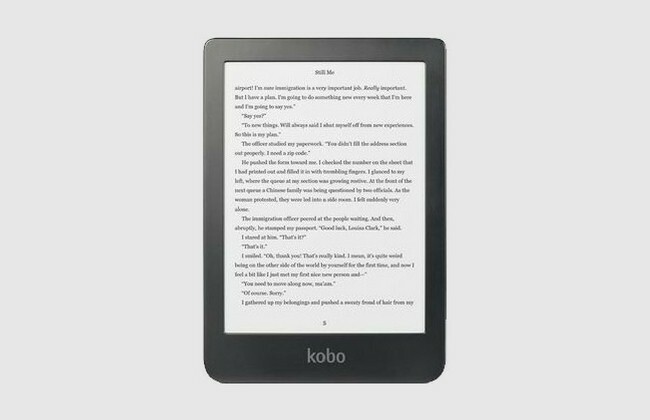 If you're looking for the vast selection of books available to Amazon devices, the Kobo store doesn't quite stack up. Still, you'll find most major releases and non-exclusives there. Plus you can use books from just about any store except Amazon by side loading them. With the adjustable color temperatures, plenty of storage, and a fair price, the Clara HD is a great option for night owls looking for an e-reader that won't strain the eyes or keep you up all night. 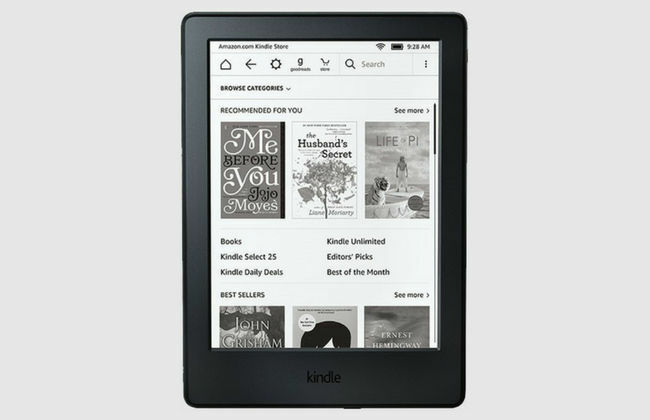 As one of the most affordably priced e-readers on the market, the baseline Amazon Kindle offers a bare bones reading experience for casual readers or those with a limited budget. Amazon also recently added a built-in light to the tablet. While the screen isn't as sharp as other models, the customization options provide plenty of ways to personalize your reading experience and optimize your reading experience. As with other Kindles, there's also exceptional battery life. You should have no problem hitting a week or more between charges. While there's no 3G/4G Whispersync version of the baseline Kindle, you can still sync wirelessly over Wi-Fi where available. 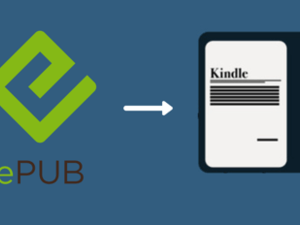 The entire Kindle line-up lacks support for ePub books. And you can't load any extra apps, such as Google Play or Kobo on to your device. 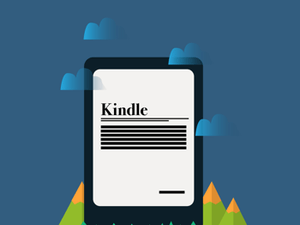 Looking for a basic, affordable way to tap into Amazon's treasure trove of written content? The Kindle is one of the best deals around. But if you're looking for a more refined experience, the Paperwhite offers better value and more flexibility. 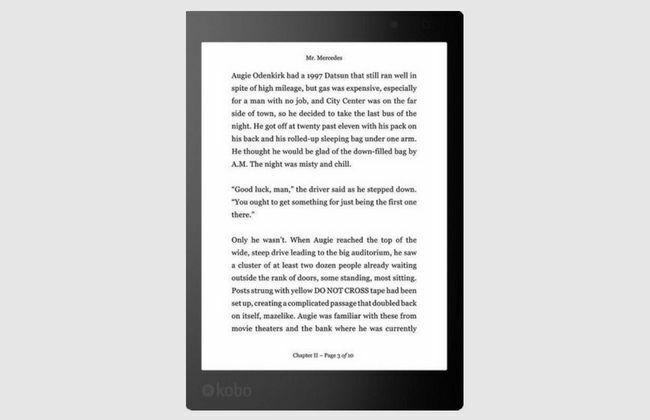 As one of the largest e-readers on the market, the 8-inch display on the Kobo Aura One makes reading visual content or PDFs with extensive formatting more enjoyable. Layouts remain truer to how it was printed and you don't have to constantly scroll or zoom in and out to read things. However, this added size means you won't be slipping it into a pocket any time soon. Of course, it's still a black and white display. So if you're looking to read in color, you'll likely want to look at a tablet. While color e-Ink technology has been tested in various markets, it has yet to make it to mainstream devices -- or perform particularly well. The Aura One is also waterproof -- making reading by the pool or in the tub stress-free. Lastly, with 8GB of internal storage, you'll have plenty of room to keep books on hand. This is good since the Kobo series lacks 3G/4G capabilities. You can still buy books over Wi-Fi, but you'll need to plan ahead if you're heading off the grid for a while. The larger 8-inch display on the Aura One really shines when you use it for reading graphic- or formatting-intensive files. Add in extra storage and waterproofing and you have an e-reader that'll keep your favorite comics, textbooks, or novels at hand with no worries. When it comes to finish and features, there are few e-readers out there that can top the Oasis. Then again, there's few that can top it in price either. However, for the price, you'll get an e-reader with a flush screen, metal chassis, and one of the slimmest designs on the market. The e-reader features an asymmetric design that makes it easy to hold and balances the weight to make one-handed reading comfortable despite the larger 7-inch display. The Oasis is also the only waterproof Kindle option available and includes up to 32GB of storage along with WhisperSync 3G/4G connectivity. A gyroscope allows the screen to automatically rotate when you switch hands and two physical page turning buttons allow you to flip pages without using a touchscreen. There's also a high-contrast mode that allows you to display books as white text on a black background -- a feature that isn't available in either the Kobo or Kindle series. Apart from the color temperature adjustments of the Kobo series, the Oasis crams in virtually any feature you might want. The issue is the price. In exchange for all of this, you'll pay a significant premium. More to the point, the international version doesn't include one of the best features of the Oasis -- Audible support. Still, if money isn't an issue, the Oasis is impressive. The Oasis offers one of the most refined e-reader experiences on the market, but comes with a price to match. When compared to a traditional tablet, it looks like you're getting less features for a higher price with an e-reader. But it's important to consider that e-readers are designed for one thing -- reading. Whereas tablets -- particularly the Kindle Fire series -- are more generalized allowing you to do a ton of things at a basic level. 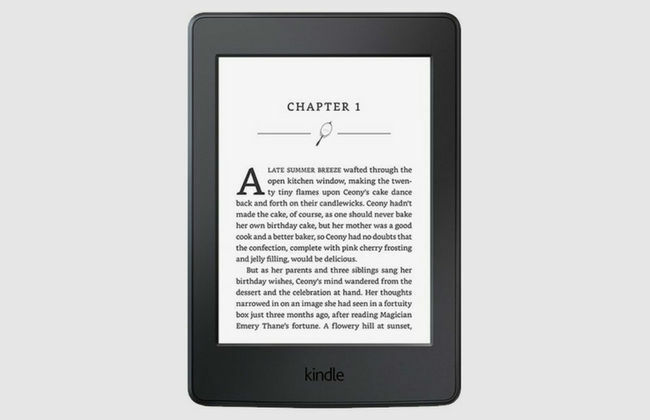 E-readers, such as the Nook, Kindle, and Kobo series, have e-Ink displays that produce a similar experience to reading on paper. They also have screen treatments that reduce glare and allow for reading in direct sunlight. The result is a digital device that allows you to read for extended periods without eye strain. Since they only need to open e-books and display them, along with a few minor social features or other perks, they typically have much slower processors than tablets. But with that comes much longer battery life. Even the Oasis, with its smaller battery and 7-inch screen, has no trouble lasting for a week at a time between charges with a few hours of reading per day. Some e-readers can hit two weeks at a time without issue. Lastly, in the case of 3G/4G Kindles, you have access to books virtually anywhere in the world. Amazon claims their service works in more than 120 countries. Can they check emails or play games? No... but when it comes to reading for extended periods, an e-reader is well worth the expense. The picks in this buyer's guide are what we think are the best e-readers for most people. 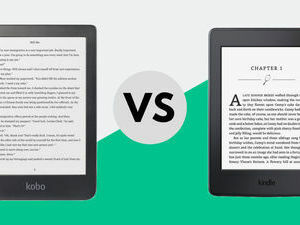 We compared the things most people consider when purchasing an e-reader. In short, we did the research — so you don’t have to. An e-reader is only useful if it has a charge. Unlike phones, you don't want to have to charge your e-reader every night. You want to be able to reliably pick it up and read it when you want. We looked for options that will last at least a week on a single charge. Many of our picks will last much longer -- especially for a casual reader. Built-in dictionaries, social sharing, back lights, note taking, and highlighting add endless convenience to the e-book experience. All of our picks come packed with most of these features -- and some include a few nice extras. 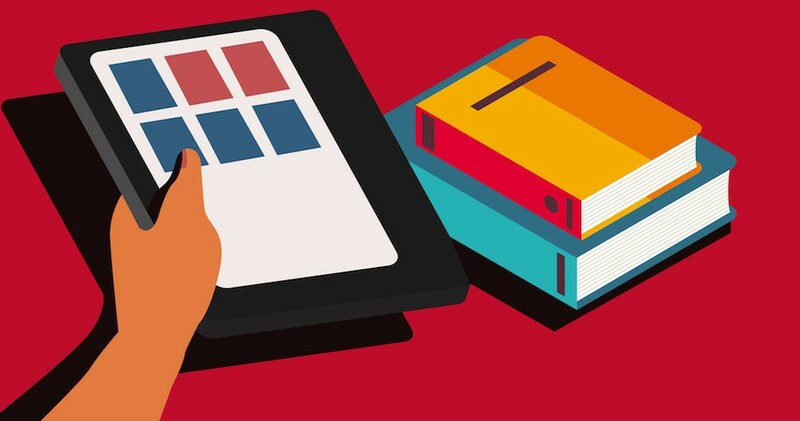 While you can always shop online, wait for the item to ship, and hope it fits your needs, we think being able to get your hands on an e-reader before you buy can give you a better idea of what you need. We've chose e-readers for this round-up that you can likely find in local bookstores or retailers. In the case of our Amazon picks, there's a good chance that you can find a friend, co-worker, or family member with one to look at if you don't have an Amazon store or other retailer nearby. Let’s face it, e-readers are rather specialized and not for everyone. For the price you're paying over a standard tablet, you want to be sure you're getting a reliable device. We scoured online reviews for each of our picks to be sure that you won’t find flimsy hardware, dim screens, weak batteries, and other surprises. What you like to read, your budget, and even personal design preferences will change what you consider ideal. This is why we make multiple recommendations and suggestions based on e-reader features , prices, and unique characteristics. If you’ve got a favorite e-reader we might have missed, let us know in the comments below! 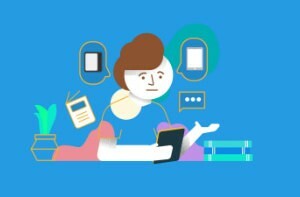 We think that any technology that encourages more people to read is a good thing and e-readers take the hassle out of toting around books, fiddling with lights, or finding a book when away from home.